Ukuleles, like every instrument, need to be cared for. Assuming they don’t, is a mistake. Just because they are small, does not mean less effort should be invested for upkeep. 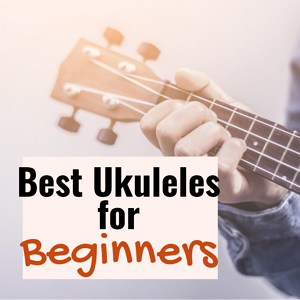 From the oil on your fingers to the heat of the sun, the notorious air humidity, and accidents that may arise, your ukulele is prone to hazards you could not imagine. If you want your uke’s life prolonged, whether it is laminated or made from solid wood, make sure to follow these ukulele care and maintenance tips. The main concern here is the prevention of dropping your ukulele. Several damages may happen to your uke when you drop it: irreparable scratches and dents, neck and body breakage, tuning problems, bridge or saddle detachment and other grave scenarios you will not be happy about. This is why we advise treating your ukulele with the best care possible – dropping it is one of the worst things that can happen. When you are using a pick, make sure that it does not directly touch your uke’s body, specially when strumming a little harder, for that may cause ugly scratches. On the other hand, improper placement and removal of a capo, can cause neck dents. When placing a capo (especially those without rubber coatings), widen its clamp enough to prevent rough contact with the neck. When removing a capo, be sure it is fully unclamped before pulling it off. 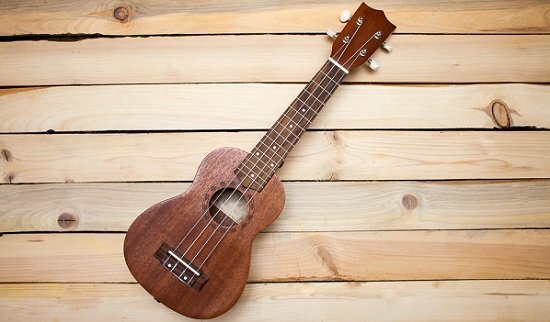 Ukuleles are prone to grease buildup from natural dirt and the oil from your hands. The result is a sticky instrument that is unpleasant to play. To prevent this from happening, make cleaning your uke after every playing sessions a habit. For the body, thoroughly wipe it with a microfiber cleaning cloth to remove dirt and dust before storing it. When removing built-up grime or dried oil and sweat, clean it with a slightly damp cleaning cloth and make sure to remove all smudgy marks on your uke’s body. Dry it with another clean cloth after. If your uke is painted or has a shiny finish, you can use polish products to keep its gloss. The fingerboard is slightly harder to clean. If you can get your hands on a super fine grade wire wool, the better, but a microfiber cleaning cloth would suffice. Very carefully rub the fingerboard with the cleaning cloth to remove dirt and oil. You can also slip the cloth underneath the strings to clean the board meticulously. Ukulele strings do not deteriorate as fast as guitar steel strings. However,they pick up oils from your hands. Make it a habit to wipe them after playing to remove the picked up oils. Doing so will prevent dirt from sticking to your strings. Never leave your uke by a fireplace, heater, oven, radiator, in a car or in a place with direct sunlight. The heat can crisp you uke’s wood and make it brittle and prone to cracking and breaking. Avoid placing your uke (even in its case or bag) in a place where it might drop. Keep your uke away from places where it might get wet from spilled liquids. The truth is, there is no one rule stating when or how frequent you should change your strings. It is really up to you. But there are red flags to watch out for signaling the need for a new set of strings. From time to time, run your fingers across the strings in search for nicks or grooves cut into them. These notches or cuts are caused by the pressure from the frets or the natural stretching of the strings. These can affect your uke’s tuning and intonation and is a sign of imminent breaking. Brand new strings tend to go out of tune often because of they are still stretching. This problem gets solved when they are finally stretched to their prime. If you find your seasoned strings constantly out of tune, you might consider restringing. Lastly, if your uke started producing dull, ugly sounds, it might be time for you to restring. This last tip is for solid wood ukulele users. Humidity is simply the amount of water vapor in the air. The wood used in ukuleles, although processed and cured, still absorbs and bleeds moisture. After all, wood is an organic material. Too high and too low humidity can both harm your ukulele. Keeping the right amount of moisture in your ukulele’s wood in relation to the humidity is a dire requirement to keep it in its top condition. Your ukulele should be stored in a place with 40% – 60% relative humidity. When there is too much humidity in the air, the wood tends to swell, the tuning pegs and frets corrode quickly, glued joints get undone, the neck might bend and in extreme cases, the bridge and braces loosen. Heightened fret action and neck bending are the usual signs of swelling in ukuleles. When there is too little humidity in the air on the other hand, the wood gets dry. This leads to the shrinking of top and back of the uke, loosening the braces and causing fret buzzing due to the lowered fret action. When wood is deprived of moisture, it easily cracks and breaks. Air-conditioning – Together with their cooling function, air conditioners also dehumidify the air. Having an AC will protect your uke during hot and humid summer months. Dehumidifiers – Dehumidifiers do what their name suggests. They reduce the level of humidity in the air but unlike air conditioners they do not come with cooling capabilities. They are also cheaper than ACs. Portable room humidifiers – A portable humidifier can increase the humidity level in the room where you keep your ukulele. Good models cost around $100 and they are usually light and user-friendly. Case humidifier – Case humidifiers can control the environment inside your ukulele’s case. To stay informed of the humidity in your cases, there are digital hygrometers like Humiditrak that lets you monitor humidity levels in your phone or computer. Invest in a hard-shell case – If you travel for shows or gigs, it is smart to buy a hard-shell case latch that locks to protect your uke from possible accidents. Keeping your uke locked in a hard-shell case is the safest way to travel with your instrument whether on a plane, bus, train or even just your own car. Just like any other instruments, ukuleles, despite their size, require a considerable amount of upkeep and maintenance. If you want to keep your ukulele in its best condition and rid yourself of possible repair costs, you should start taking good care of your aloha-buddy. 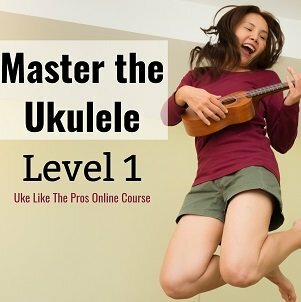 My husband has always wanted a ukulele, so I’ve been looking into getting one for him. Thanks for the advice about keeping it clean after playing. Once I pick out a nice one, I will have to send these tips to my husband so he knows how to take care of it.